If you listen to Terry O’Reilly‘s Age of Persuasion on CBC radio, you will have heard about the famous Volkswagen ad campaign by DDB in the 1960s, as this is one of Terry’s all-time favorite campaigns. It remains a classic advertising campaign to this day. Volkswagen signed with DDB in 1959, appointing them to handle their account in the USA. 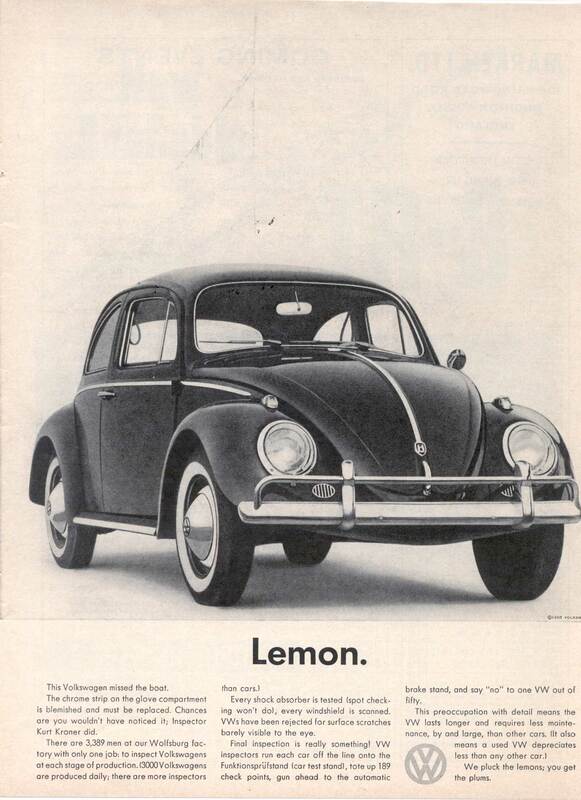 Some say Bill Bernbach‘s resulting campaign for the Vokswagen Beetle permanently changed the face of advertising as it handed a whole string of awards. Today, it’s even the subject of a book.